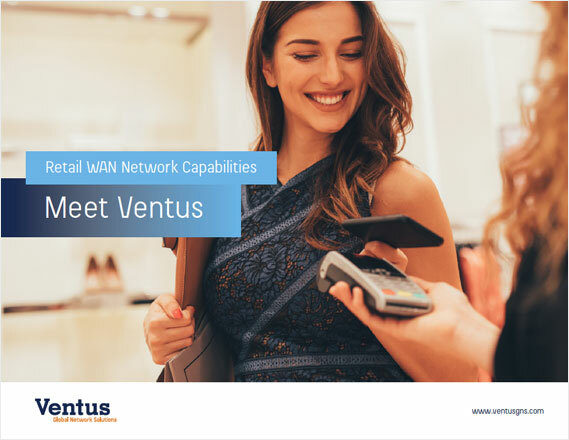 Ventus is a global wireless and fixed-line connectivity, hardware, and software company delivering customer-centric innovation that leverages technology to produce market-driving solutions. 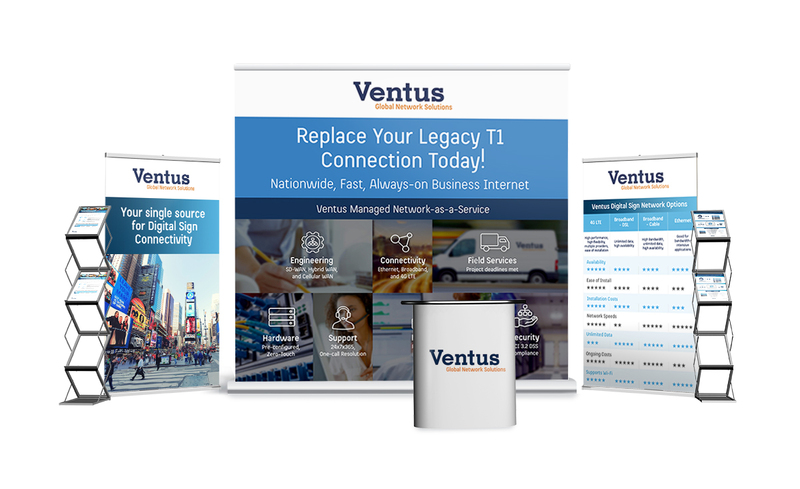 Our agency partnered with Ventus Networks to bring strength and consistency to their brand. 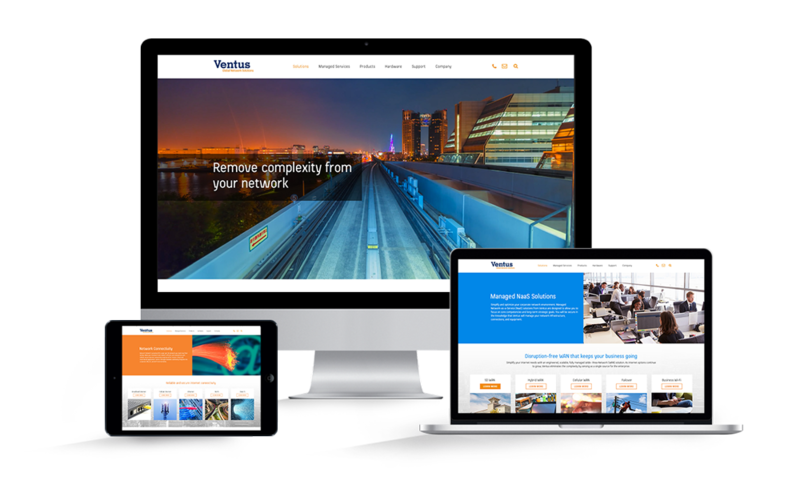 Through multiple digital and print projects, such as a new corporate website design, Mediaboom accurately positioned Ventus as a top full-service networking company with a modern edge. 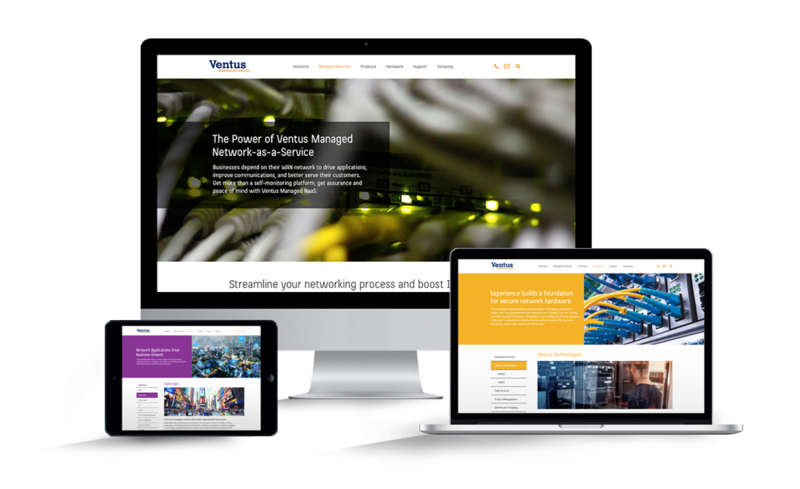 Mediaboom strategized a new information architecture for Ventus, organizing their content in a way that is easy to navigate and understand. 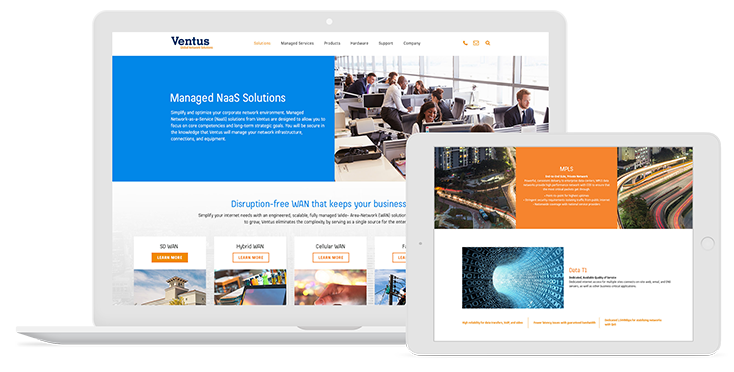 The website’s main purpose is to educate customers on Managed Network-as-a-Service, which is a unique multi-faceted product that positions Ventus as a one-stop shop for custom designed, engineered, and fully managed networks. 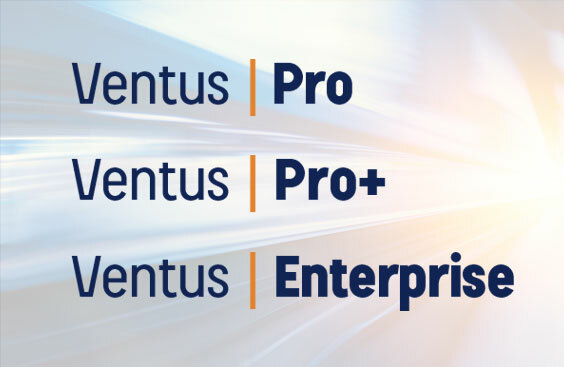 At the first stage of our partnership with Ventus, Mediaboom strategized and developed logos for Ventus’ core service. 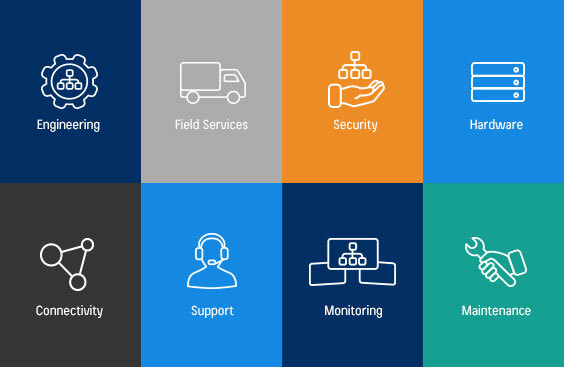 The Managed Network-as-a-Service is a fully managed network that is Engineered, installed, secured and managed all by Ventus. This allows complete piece of mind for business owners, who can then focus on their bottom line and not have to worry about managing complicated networks. 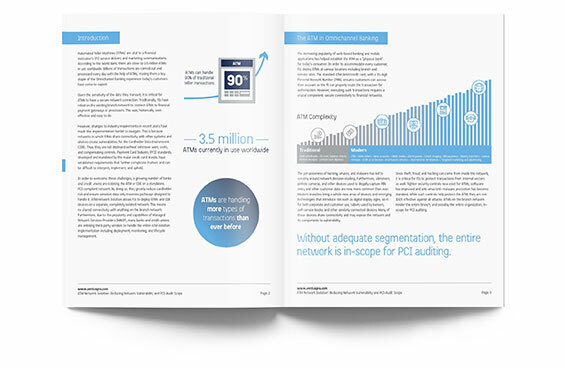 After the completion of the corporate web design, Mediaboom designed a whitepaper that features insights and statistical data to educate business owners on the importance of network security within the financial industry. Mediaboom also designed an infographic that was also used as an educational tool for future customers to take away from meetings and events. 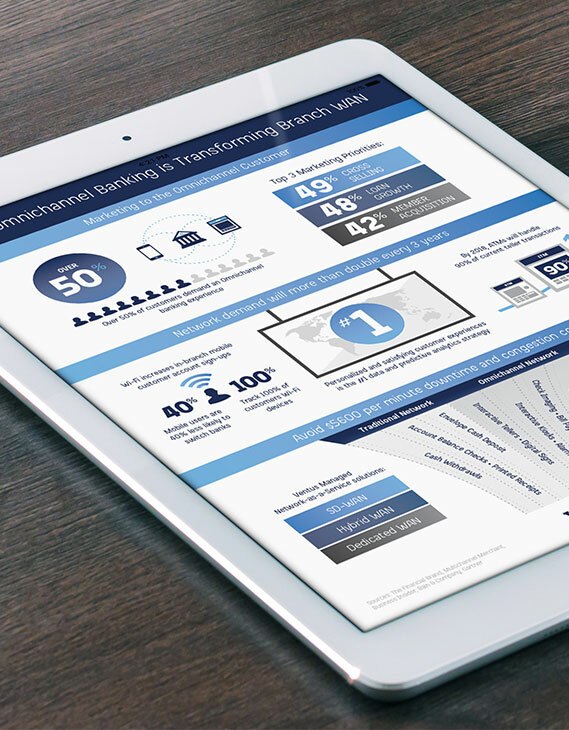 The infographic combines custom illustrations and statistical data to draw attention and increase readability. 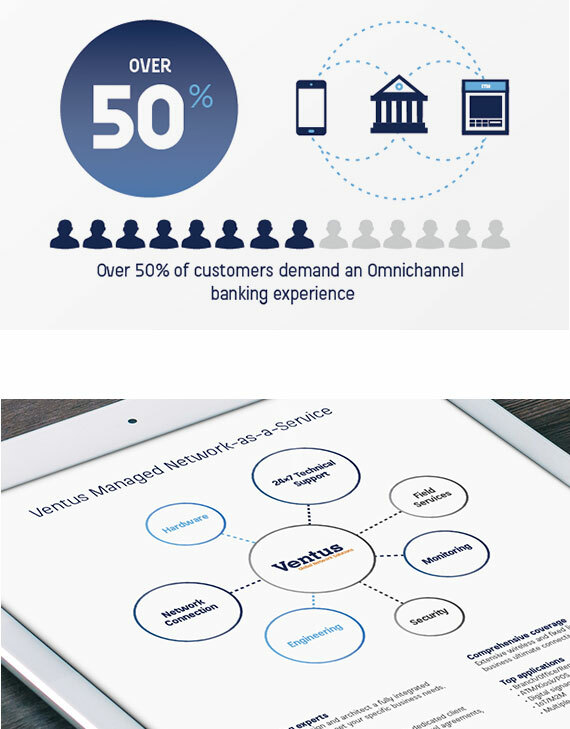 When Ventus engages in new client meetings, they often start with a brief presentation to give an overview of their capabilities. Mediaboom created a professional pitch deck that does this in a way that’s not just informative but also visually exciting. The pitch deck helps to solidify a positive first impression and lasting relationship with the client. Mediaboom designed various digital and printed tradeshow materials that were displayed at shows and conferences around the country. With Mediaboom’s quick repsonse time, Ventus is able to accomodate time sensitive requests and ensure every deadline is met.